Are there any ladies out there that would love to learn some pointers about Cyclocross? Are there any who would like these pointers in a no stress environment with a bunch of your girlfriends? And lastly, would you like to get pointers from a full time racer such as Mical Dyck??? You are in luck. 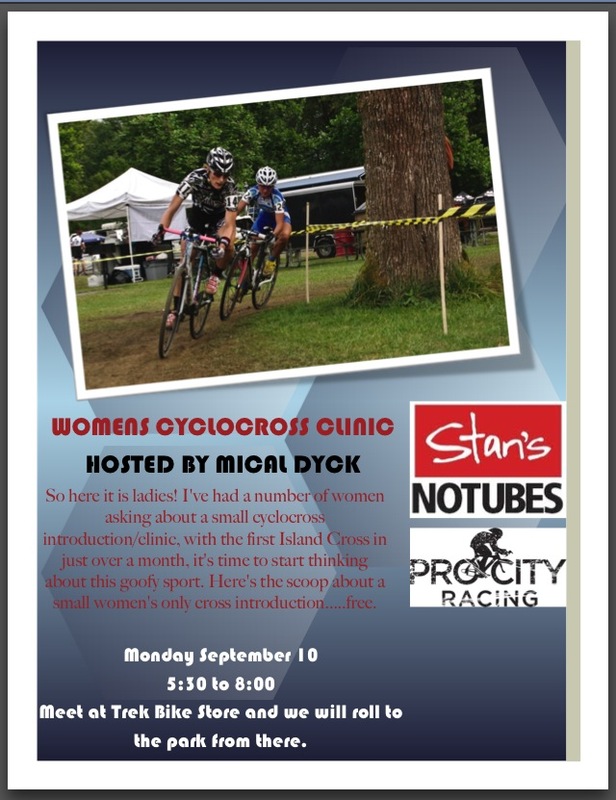 September 10th, 2012 Mical will be hosting a intro to CX clinic for all who are interested. And almost the best part is the cost....FREE. Ya, zero, zilch, nada. Bring you cross bike, or mountain bike and have some fun learning this truly goofy sport. If you have never taken part, I warn you, you will be hooked.